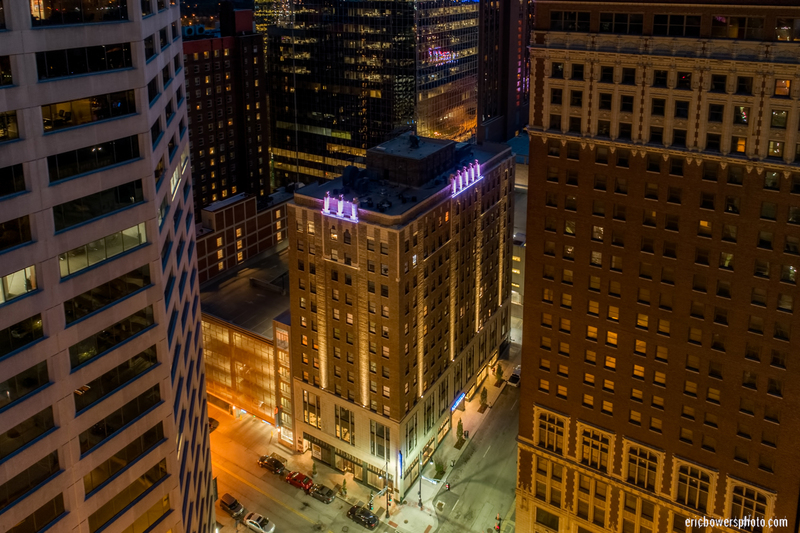 Kansas City Hotel Indigo and Formerly the Brookfield Building – aerial shot from about 200 feet above-ground-level in the federal aviators parlance and following from another recent flying camera photograph. This building sat for quite some time awaiting a committed renovator. I am glad to see one finally stepped up.